This Single Vineyard represents the essence of our most valuable vineyard: "Rafael"s Vineyard"
From the appreciated “Golden Mile”, this wine is cuddled from the harvest, until the bottle, resting in new French oak barrels the right and proper time that our winemaker decides according to the characteristics of each vintage. Tinta Fina (Tempranillo) from Rafael’s Vineyard. Late harvested, usually in mid-October, hand-picked using 12 Kg. cases that rest on a refrigeration chamber 48h. below 7ºC. Once in the winery, the harvest passed through a sorting table and we do a gentle desteming. Alcoholic - Fermentation takes 12 days at a controlled temperatura of 26 ºC in truncated-cone stainless steel tanks of 17.000 Kg. We do a cold soak for 52 hours on an inert atmosphere for a better extraction of the fruity aromatic compounds of the grape. Malolactic - It remains in new French oak barrels of 500 and 225 l. with its fine lees. We do a gentle battonage twice a week. Depending on the characteristics of the vintage, our oenologist determines the time of permanence in barrel always looking for balance, elegance and maximum respect to the soil of our vineyard of Raphael. Deep red cherry color with violet trim. 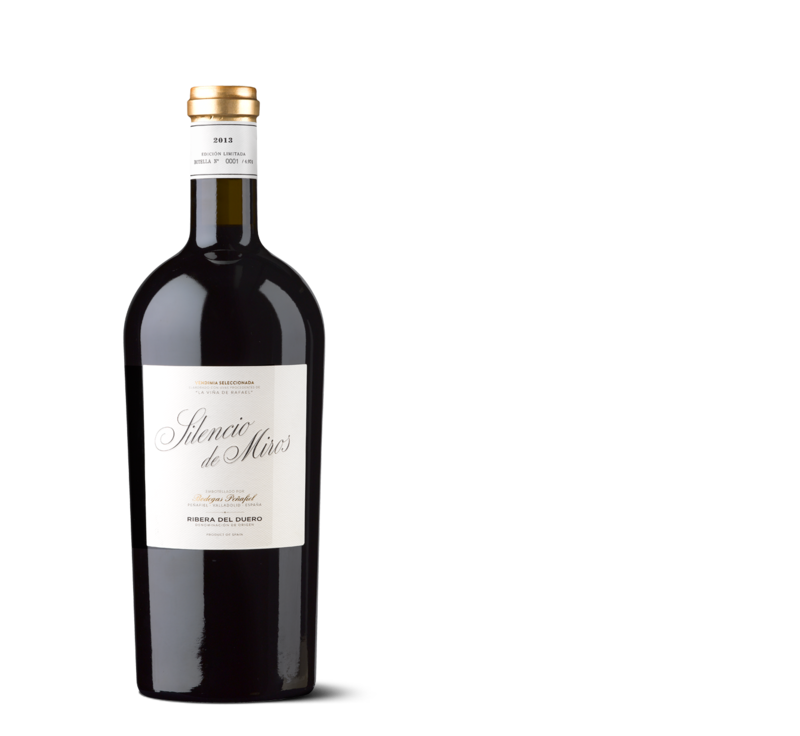 It shows fresh aromas in the nose, combining red currant, plumbs and raisins. Also displays some light hints of violets and truffles. Very well integrated aromas with a background of mild coffee toast and light touches of spiciness after being aged in French oak barrels. Powerful, elegant and lively in the mouth, followed by a light astringency typical of this vineyard.